Five men were involved in the murder of schoolboy Jayden Moodie, it was revealed today. The 14-year-old was stabbed more than seven times, it was also disclosed. 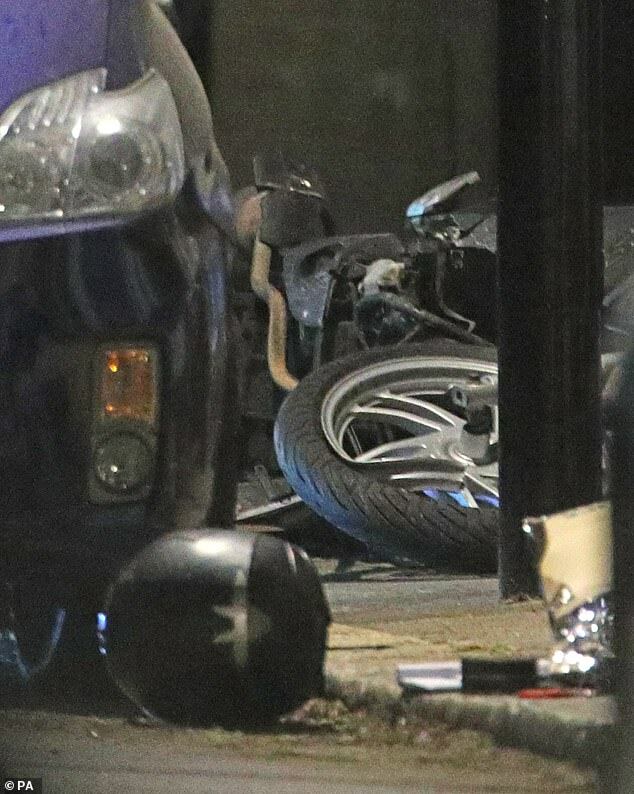 Three men plunged blades into the back of the teenager after he was mown down from his stolen moped by the men who were in a black Mercedes. Police at first revealed three men were involved, but the latest revelation that Jayden was targeted by five men has added to the theory that gangland warfare led to the murder. His family deny he had any gang affiliation, but detectives refused to say whether his lifestyle may have led to him being targeted. In an area of East London where police have been battling drug dealing and gang crime, Jayden had become a familiar face around the streets where he met his death. 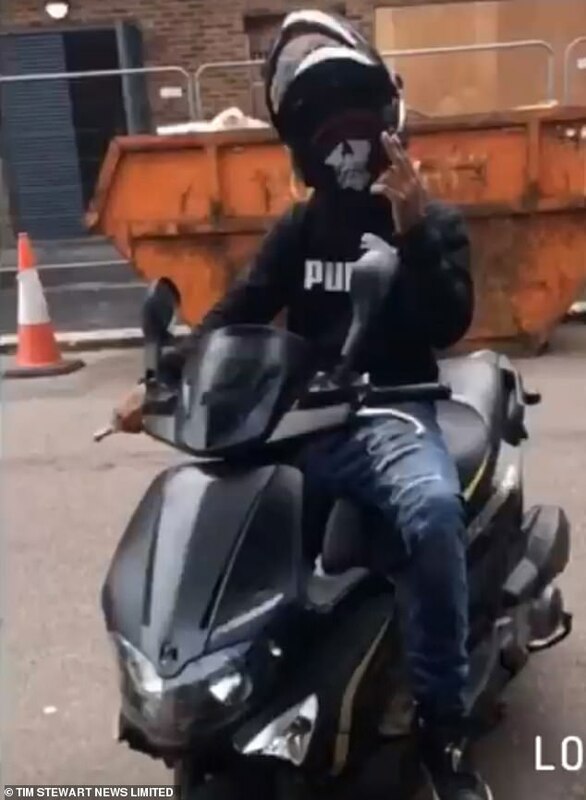 He had described himself as a ‘trapper boy’, gangland parlance for a drug courier and also used the moniker ‘Little Driller’ which translates into killing in gang culture. Detective Chief Inspector Chris Soole refused to comment on whether Jayden’s lifestyle may have contributed to his slaying and added that officers were following several lines of inquiry and keeping an open mind. 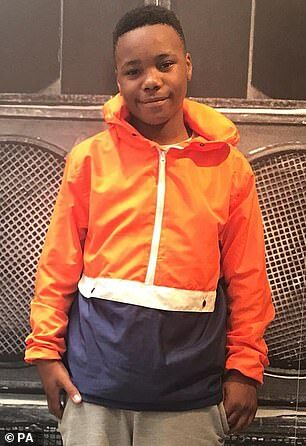 Jayden was later rammed off a moped and then repeatedly stabbed on January 8 in a part of Leyton that is said to be blighted by so-called county lines gangs that are known to exploit children. The teenager was said to have carried a knife and showed it off the day before he was killed. His Chingford school would not comment on the exclusion, but it is understood that he was offered sessions with a pupil referral unit. Jayden’s cousin, Leon Green, said he had a keen interest in bikes, loved sports and was due to start at a boxing academy this month. He complemented Jayden’s character and said his life had been ‘viciously taken away’. ‘His character was infectious and anyone who met him fell in love with his charm. ‘I would like to stress Jayden had recently moved from Nottingham to London and had absolutely no affiliation with gangs. Witnesses described seeing three men armed with long kitchen knives surround the unconscious boy as he lay on the road and ‘butcher him in silence’. The Mercedes B Class was found dumped half a mile away near territory controlled by the so-called Oliver Close (OC) gang. Jayden lived close to an area run by the OC’s rivals, the Beaumont Crew. The gangs are known to exploit children, recruiting them with promises of drug-dealing cash and then threatening them with violence if they do not comply. 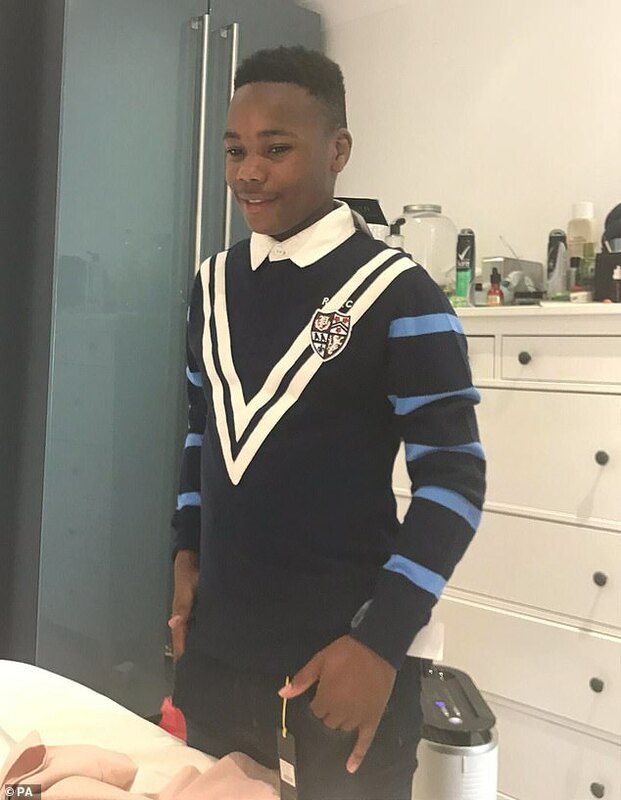 Jayden’s godmother Zoe Grant, who lives in Nottingham, paid tribute to the 14-year-old by saying: ‘He was full of life, fun loving and a ray of sunshine.